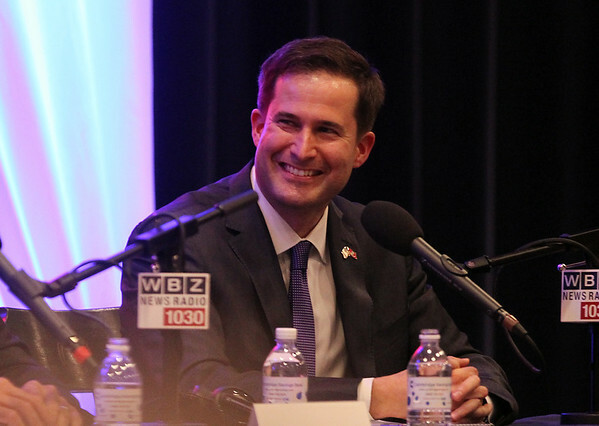 Democratic congressional candidate Seth Moulton, flashes a smile during WBZ Radio Host Dan Rea's Talk the Vote at Endicott College on Wednesday evening. DAVID LE/Staff photo. 10/29/14.